Smooth PDO threads fully dissolve over 3-6 months and work by building collagen utilizing the patient’s own collagen. This results in wrinkles starting to smooth, face color improving and pores becoming smaller. The skin becomes elastic & improved in appearance. The tissue changes monthly due to new collagen formation around the threads. Each person has his/her own speed of collagen synthesis. Maximal production of collagen is seen at 3-6 months. Smooth threads can be used for eyebrow lifts, radial lip lines, lip borders, smile lines, acne .scars, nasiolabial folds, neckline tightening, and oral commissures just to name a few. Plan on 3 sessions one month apart. PDO Smooth Thread Lift lifts and smooths loose or sagging skin on the face and neck without surgery. This minimally invasive procedure is cost effective, quick, and can take years off of your face instantly. This nonsurgical facelift can lift and improve the appearance of sagging neck, jowls, cheeks, eyebrows, and more. PDO Smooth Threads are composed from Polydioxanone, which is where the name “PDO” comes from. Polydioxanone is an absorbable material that’s been used by doctors for many years. This is a safe material that is absorbed by the body in 4 to 6 months and leaves behind no scar tissue. PDO sutures are used in cardiothoracic surgery. PDO threads are preloaded into a hypodermic needle. After the board-certified physician numbs your face, the needle is inserted into the skin and as the needle is removed, the thread stays behind. PDO Smooth Threads are meant to be injected in a “net” or “mesh” formation (for example, the board-certified physician might insert 3 smooth threads horizontally and 2 vertically). As the skin heals around the PDO threads, it produces new collagen, which results in naturally tighter, thicker, and firmer skin over time. As more collagen builds up, smoother skin will result. 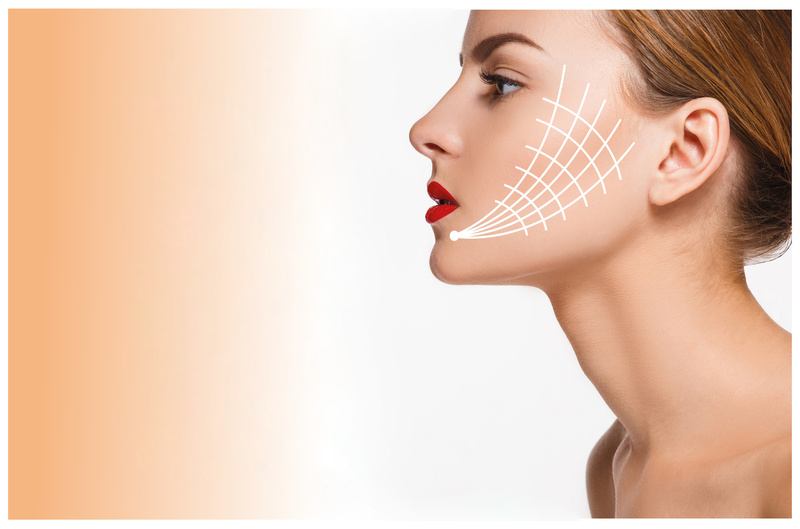 The PDO Smooth Thread Lift is your nonsurgical facelift alternative. This procedure will instantly lift up loose skin on the face, neck, and body with minimal downtime. Call 316-252-8533 to book your PDO Smooth Thread Lift ® treatment or to find out more information.